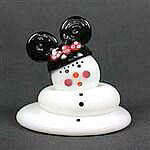 Vitrix glass snowman. 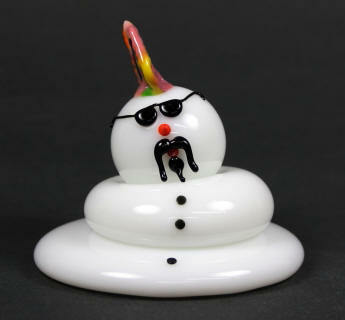 Done in a variety of designs this snowman is the Melting Mohawk. His tall colorful hair style, and his mustache and goatee and eye glasses add a nice touch. 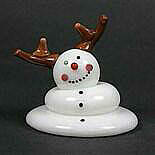 Collect all versions, approx.. 5.25" x 2.80". Signed Vitrix and dated. © 2019 Art Glass by Gary Gallery LLC All Rights Reserved.